Known as one of India’s finest cricket captains, Mohammed Azharuddin completes 50 years this year and it’s no doubt filmmakers in B-town want to pen down this controversial cricketer’s life story to be showcased on the big screen. 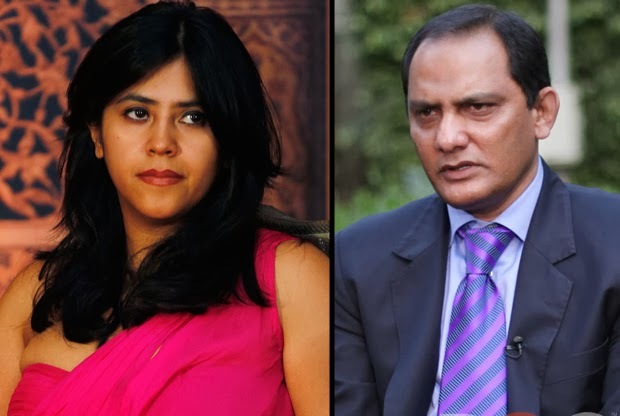 Times Of India reports that Ekta Kapoor has bought the rights to make a film based on Azharuddin’s life and the both even met to complete the formalities. Having a life ban on cricket, a divorce and a second marriage with actress Sangeeta Bijlani and loosing his son to a car accident, these are just some of the moment’s that will be shared on the big screen. With having gone through huge ups and down in his life, there is no doubt that this sportsman makes a very attention-grabbing subject for a biopic.